Select between a STABY PROFESSIONAL or STABY MINI. We’ll send you the STABY of your choice and give you access to our entire growing library of online workouts for 30 days. You will be billed only $49 plus $10.95 shipping and handling. 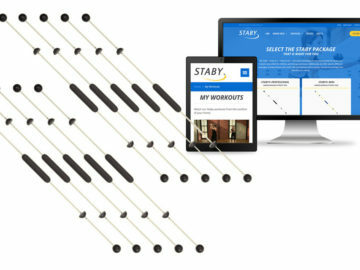 If you keep the STABY after the initial 30-day trial period, you will be billed ONLY an additional $99 for the balance of the STABY payment and 12 additional months subscription to the online workouts. THIS IS A TOTAL SAVINGS OF $190 OFF THE NORMAL PRICING. $49 deposit and $99 additional payment if you do not return after 30 day trial. Select between a STABY PROFESSIONAL (Full Size Version) or STABY MINI (Shorter Version – perfect for kids and therapy). We’ll send you the STABY of your choice and give you access to our entire growing library of online workouts for 30 days. You will be billed only $49 plus $10.95 shipping and handling. 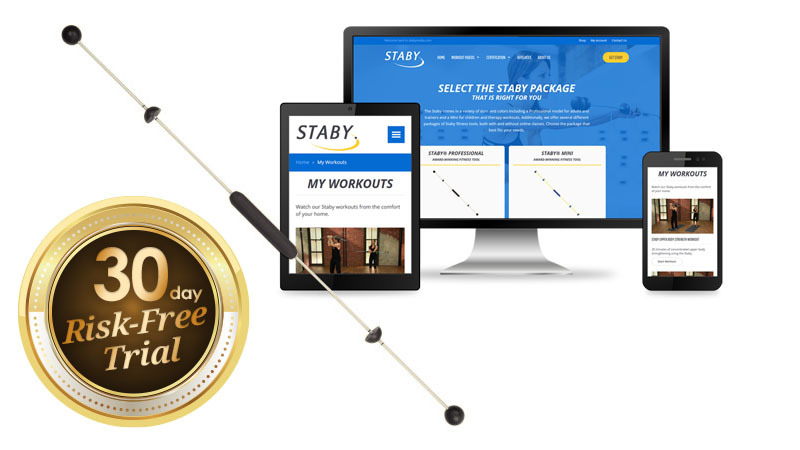 If you keep the STABY after the initial 30-day trial period, you will be billed ONLY an additional $99 for the balance of the STABY payment and 12 additional months subscription to the online workouts.